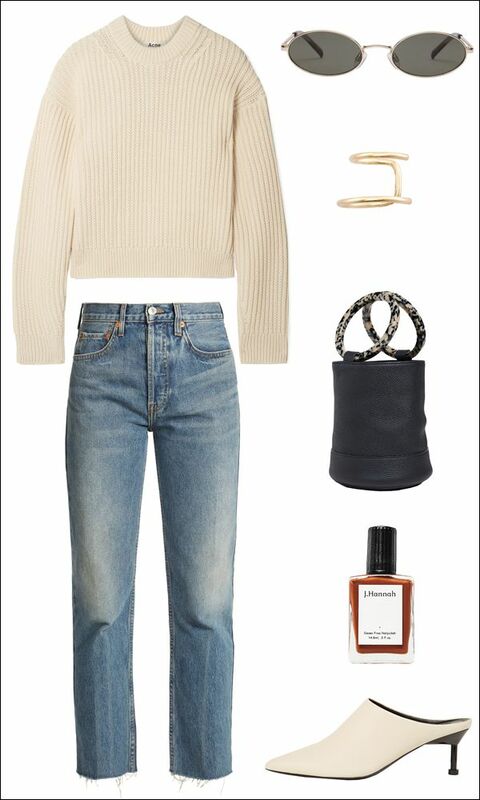 With our latest outfit collage we take on how to make your go-to sweater and denim outfit look put together and polished. It's all about adding in elevated shoes and accessories. In this case we completed the combo with a pair of trendy '90s-inspired sunglasses, a sleek ear cuff, a statement mini bucket bag, and standout mule heels.